September | 2014 | Interrupted fern. I have in front of me a picture of a woman and her child. Hurt and hopelessness radiate from their eyes, and the dirty and bedraggled condition of clothing and hair shows the state of their past, present, and future: poverty. Yet it is not only physical poverty that enslaves them, but also spiritual poverty. 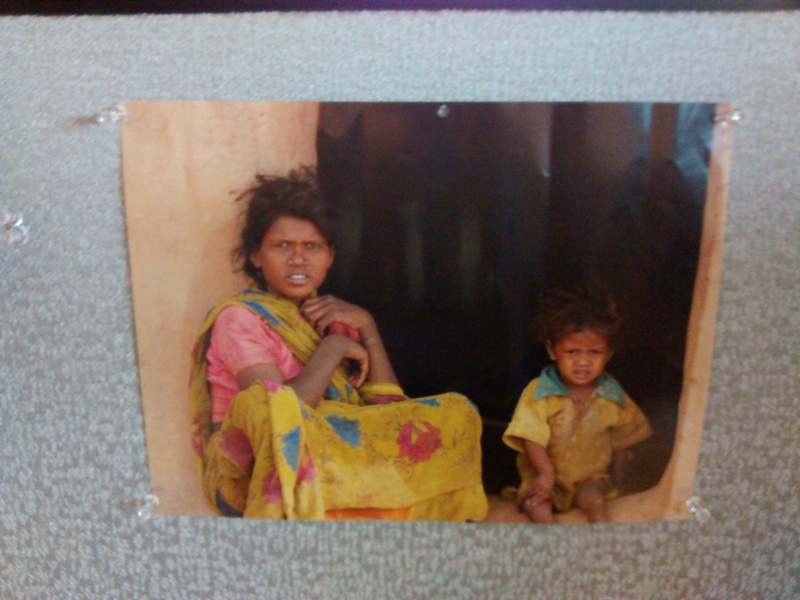 You see, this woman and her child most likely live in India, where their lives are ruled by the Hindu caste system. They have been told all of their lives that their poverty is a result of bad deeds they did in past lives, and that they fully deserve this standard of living. In their eyes, they are not valuable. They have no worth. They will live poor, and die poor, and not ever know hope; not ever know that Jesus loves them. Yet they are only two out of the 2.5 billion people who have never heard of Jesus’ love for them. Now here I am, one who was lost and has been found, one who like a little sheep had gone astray, one who Jesus, the kind Shepherd, redeemed through His blood. I know what it is like to be lost in darkness, and I also know the life and hope and light that Jesus brings. Now, because Jesus died for me, and paid for my sin so that I would be made right with God, I do not have to fear death; for I will spend eternity with Him. Hallelujah! I know the hope of heaven. So now what? Now that I have been given hope, what am I going to do with my life? Am I going to make myself a comfortable home here on earth, while I wait for my true home in heaven with Christ? Am I going to hold my head high and count myself lucky that I am not going to hell, and not care a single bit about the people around me who will go to hell when they die? In Matthew 28:18-20, where Jesus gives the Great Commission, He commands His disciples to go and make disciples of all nations. And if you and I profess belief in Jesus Christ, then we are included in this command. If these things are true, if my life truly has been transformed by Jesus’ love, how can I turn my back on the unreached? How can I not live for Him? My attitude is so often not how it should be; so often I live for myself, and don’t even want to live for Him. But if I have truly been changed by Him, how can I turn my back? Oh my hard heart, be broken for these who have no hope! Change me, Lord! Break my heart for what breaks yours! Help me to live for You, even when I don’t feel like it. Help me to walk in small, faithful obedience. I’m not good at any of this, Lord, thank You that You can show yourself to be powerful and mighty in my life in these ways! I put my hope in you, Jesus. Amen. Now that you’ve read this post, what are you going to do about it? Please, even if it is small, do something. Learn how you can take action to help reach the unreached by praying for the unreached or by sponsoring a national missionary.